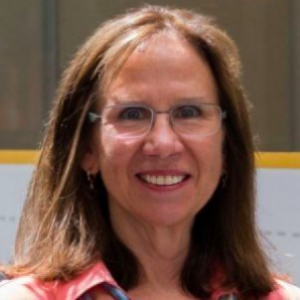 Debra Duke is a principal investigator on a multi-university study to improve student learning in introductory programming and software development courses through the use of learning engagement strategies, such as problem-based learning, gamification, and social interaction. The team’s long-term goal is to provide an adaptive cyberlearning environment that enriches students’ conceptual understanding and practical skills. Debra is an avid POGIL practitioner and is a trained POGIL workshop facilitator. POGIL is an acronym for Process Oriented Guided Inquiry Learning. It is a student-centered approach to learning in which small teams of students work together on carefully designed and focused learning activities that enable them to construct important course concepts and cultivate lifelong learning skills. 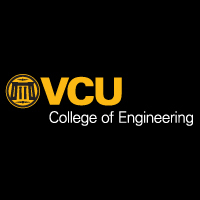 According to analysis by Moret’s group, Virginia produces about 1,700 graduates in computer science related fields every year. That figure includes both undergrad and grad students. And now, there’s additional pressure on universities to produce more tech-related graduates. As part of the deal to lure Amazon to Virginia, the state has vowed to double the number of graduates in computer science and related fields over the next two decades. Moret thinks Virginia can get there sooner than that. Moret: We're going to need a lot of new faculty. More specifically, he thinks the state needs 170-270 more faculty members over the next 5-7 years. To help them get there, he and others have crafted a “tech talent investment fund” to help universities recruit - and retain - faculty. Moret says the idea is to ask for $1.1 billion in state support for the fund over the next two decades. Budwell (left) and Duke both left industry jobs to teach. (Photo M. Pauly)Budwell (left) and Duke both left industry jobs to teach. (Photo M. Pauly)But recruiting faculty into these fields isn’t easy, especially given that private or public sector jobs pay up to three times the salary of a professor. Debra Duke is undergraduate computer science director at Richmond’s Virginia Commonwealth University. Due to the ubiquitous nature of software in the 21st century, there is a great and increasing demand for software developers and programmers in the US. Both Computer Science (CS) and Information Technology (IT) academicians and practitioners agree that a comprehensive strategy to improve the number and quality of 21st century CS/IT workforce is needed. This project will assist colleges and universities in producing more well-qualified software developers through the use of a cyberlearning environment that builds on and extends WReSTT-CyLE (Web-Based Repository of Software Testing Tutorials), a cyberlearning environment for software testing. Provides an overview of the software engineering process and software life-cycle models. Gives a detailed study of the analysis, specification and design phases. Students will work in teams to gain experience in software development methodology, developing specification and design documents and developing a prototype. Design and implementation of relational database systems. Emphasis is placed on entity-relationship diagrams, relational algebra, normal forms and normalization. Introduction to SQL. Discussion of physical level issues. Programming is a fundamental part of the computer science curriculum and is often considered problematic. It is an intellectual activity which can be learned by learning basic programming concepts and then practicing a lot. First-year students often encounter difficulties grasping basic programming concepts, and many either drop out or do not learn concepts well even after completing their courses. The high dropout and failure rates in introductory programming courses are a universal problem that motivated numerous researchers to propose techniques and tools to encourage students. The last few years we have been working on SEP-CyLE (Software Engineering and Programming – A CyberLearning Environment), which includes Learning objects (LOs)—small chunks of information that are self-contained and reusable and different engagement strategies to support student learning in CS1 classrooms. The SEP-CyLE contains a variety of LOs that span computer programming and software engineering concepts. Our research sought specific knowledge deficiencies of incoming and outgoing CS1 students to guide the development of LOs in the SEP-CyLE. This paper reports the data collected at 5 major universities that utilized the pre/posttest instrument to measure whether the students had any knowledge deficiencies and whether the SEP-CyLE had any impact on the improvement in their learning. The results indicated that many students across the sites have knowledge of deficiencies in memory management, loops, conditional statements, arrays, basic operators, methods OOPs concepts, and software testing concepts. The results did not differ in terms of knowledge deficiencies at different institutions.